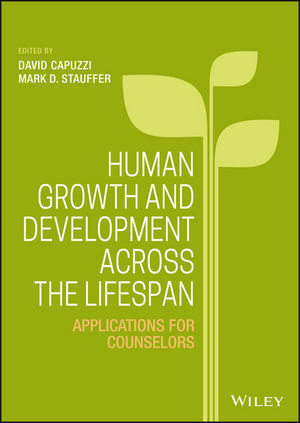 This book is the only text on human growth and development that emphasizes the key implications and applications for counselors, providing useful information and the insights of real experts in each subject area. As a counselor, you cannot approach a child's therapy the same way you approach an adult's. Even within each major category, each developmental stage includes a nuanced set of characteristics that, considered appropriately, will inform a more effective treatment plan. Human Development Across the Life Span is a comprehensive guide to understanding all of your clients, and providing the type of counseling that facilitates more positive outcomes. DAVID CAPUZZI, PHD, NCC, LPC, is a counselor educator and core faculty member in mental health counseling at Walden University, and professor emeritus at Portland State University. He is past president of the American Counseling Association (ACA), and past Chair of both the ACA Foundation and the ACA Insurance Trust. MARK D. STAUFFER, PHD, NCC, is a core faculty member in the mental health counseling program at Walden University. His research focuses on Eastern methods and East-West collaboration, and his training in Zen tradition has made him a sought-after speaker on meditation and mindfulness-based therapies.